Show Racism the Red Card - Kick It Out, SRtRC and League Football Education team up for scholar training. 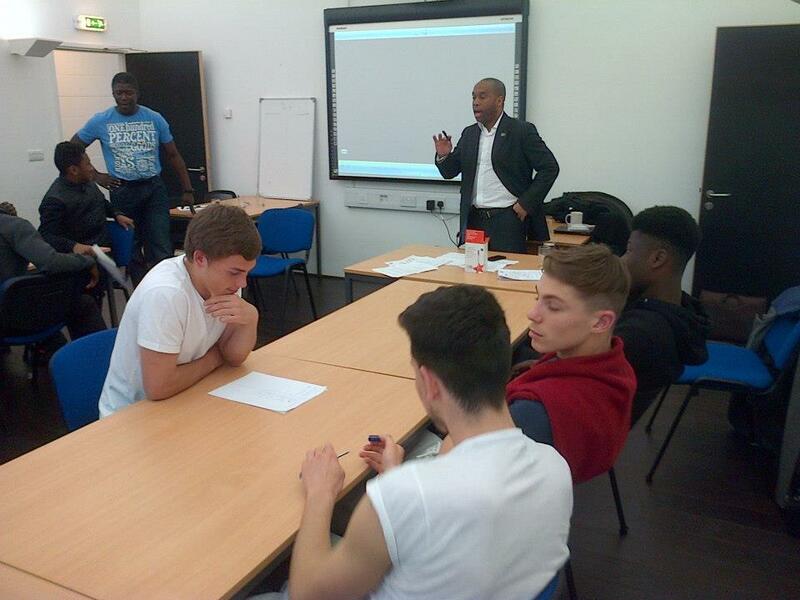 Kick It Out, SRtRC and League Football Education team up for scholar training. Kick It Out and Show Racism the Red Card (SRtRC), in conjunction with League Football Education (LFE), have recently delivered a series of equality and diversity training workshops to Football League scholars. The sessions, delivered by Kick It Out Mentoring and Leadership Project manager Troy Townsend and Show Racism the Red Card patrons Paul Mortimer and Osei Sankofa, consisted of a number of activities raising awareness on issues such as discrimination, stereotypes and under-representation within the game. Co-ordinated by the LFE, a partnership between the Football League and The Professional Footballers’ Association responsible for managing the apprenticeship programme across 76 professional football clubs, the workshops were undertaken by scholars at Leyton Orient, Notts County, Coventry City, Millwall, Bristol Rovers and Bristol City during April and May. “We see equality training as an important educational enrichment which helps apprentices to understand the differing strands of equality in everyday life,” said Alan Sykes, chief executive at the LFE, emphasising the need for conducting equality training with the 16-18 year-olds. Each workshop consisted of the scholars watching a 12-minute DVD focusing on homophobia, sexism, racism and disability abuse, and taking part in an interactive activity where they discussed the acceptable and unacceptable use of different terms. “The scholars are role models and the workshops were a great platform to highlight this,” commented Troy, the campaign’s Mentoring and Leadership Project manager since May 2012, who was in attendance for all of the sessions.“The participants showed a clear understanding of current issues within the game, discussing topics which are not widely spoken about as well as touching upon other topical matters such as social media conduct.